Host Chris Rock addressed the diversity controversy in his monologue, while Leonardo DiCaprio generated buzz for his Best Actor win. Hollywood award season is in full swing and for the 88th Annual Academy Awards, the social chatter started in mid January with questions about diversity. As promised, host Chris Rock addressed the diversity controversy in his monologue, while Leonardo DiCaprio generated buzz for his Best Actor win. Overall, some 24 million Facebook users were responsible for 67 million interactions (posts, likes and comments) during the 88th Annual Academy Awards. DiCaprio generated the most buzz of the night both on Facebook and on Twitter with more than 440,000 Tweets per minute — beating the record set by the famed Ellen selfie from 2014. 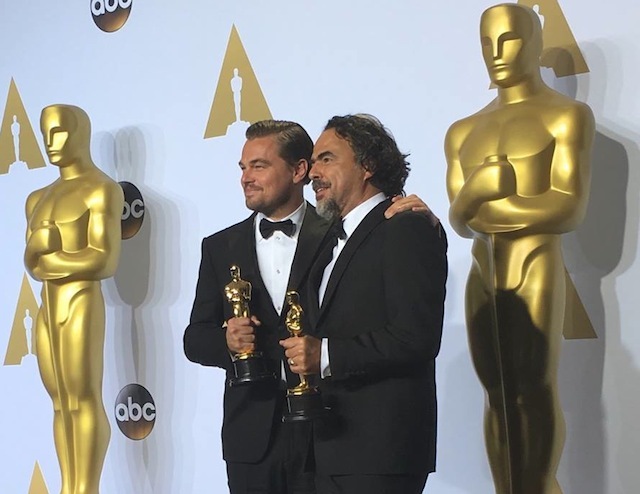 DiCaprio used his acceptance speech and his post on Facebook as a moment to discuss the need for action on climate change. By Monday morning, his post had tallied more than 1.5 million likes. According to Amobee Brand Intelligence, it was Rock’s monologue, where he addressed the #OscarsSoWhite controversy, that was the runner up for most buzz on Twitter with 370,440 live Tweets. Bette Midler even took a jab at the Academy with a pointed Tweet that was Retweeted more than 30,000 times. Rock also won the most awkward moment when he finished his monologue by inviting Fox & Friends Host Stacy Dash on stage as the director of the Academy minority outreach program. The moment, generated 158,211 mentions on Twitter and was met with silence and a smattering of confused laughter from the audience as Dash walked on stage and wished everyone a Happy Black History Month. Image courtesy of Leonardo DiCaprio on Facebook.